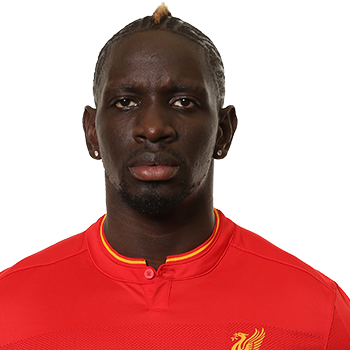 Mamadou Sakho increased the competition for places in Liverpool's defence when the Frenchman sealed a move to Anfield during the final days of the 2013 summer transfer window. Born and raised in Paris, the versatile defender - he can play both centrally and at left-back - possesses outstanding pace and aerial power and is extremely comfortable with carrying the ball out to prompt attacks. Sakho's football odyssey started among the youth teams of local outfit Paris FC before traditional contenders Paris Saint- Germain brought the youngster to their academy in 2002 and began to mould him into the towering stopper we see today. After showcasing early signs of his potential with a succession of honours at that level, the left-footer was handed a surprise senior debut in a Europa League tie at AEK Athens in February 2007; he played 85 minutes in a 2-0 victory and earned one more appearance that season. A whirlwind period of progress followed. Sakho put pen to paper on his first professional contract that summer, made his league debut for PSG and was handed the captain's armband - becoming the youngest skipper in club and Ligue 1 history. By the end of the campaign, Mamadou had collected the first major honour of his career by completing the full 90 minutes in PSG's 2008 Coupe de la Ligue final triumph over Lens. The following campaign was a season in which Sakho established himself as a mainstay of the Paris Saint-Germain set-up despite his tender years, making 34 appearances in all competitions and gaining a wealth of experience on the European stage. A first career goal arrived in February 2009 too, when the man who picked up the nickname 'Kirikou' from PSG supporters added his name to the scoresheet in a domestic encounter with Saint-Etienne. Mamadou missed just nine Ligue 1 fixtures during the two years that followed, with his agility, composure and dominating physique impressing observers in France and interested parties from further afield. He also needed to extend his trophy cabinet after playing the whole 120 minutes of the final as PSG edged Monaco 1-0 in extra time to lift the 2010 Coupe de France. Having represented Les Bleus with aplomb at every youth level from U16s upwards, the defender received full international recognition in November 2010 when he played the second half of France's friendly victory against England at Wembley and crossed paths with Reds captain Steven Gerrard. The 23-year-old has since racked up 14 appearances for his country, including four matches in a tough qualifying section for the 2014 World Cup next summer which also includes reigning champions Spain. PSG climbed to fourth in the 2010-11 Ligue 1 standings but surrendered their domestic cup title with a 1-0 showpiece turnover at the hands of Lille. Consolation came for Sakho, however, in the form of France's young player of the year accolade. Injury disrupted the centre-back's opening to the 2011-12 campaign and his previously guaranteed berth in the line-up was threatened by the appointment of Carlo Ancelotti as boss and massive investment from the capital club's new owners. But the determined Sakho responded and was selected for 27 league matches last season, contributing two goals, as PSG raced to the Ligue 1 championship by 12 clear points. They conceded just 23 goals in 38 fixtures. The Frenchman stepped up to the Champions League in 2012-13 too, featuring three times in Europe. PSG's unstoppable drive to strengthen their squad, though, meant speculation surrounded Sakho's future during the summer of 2013. With Brendan Rodgers keen on defensive reinforcements before the transfer window closed, the Northern Irishman made his move for Sakho and the 23-year-old signed on the dotted line at Melwood on September 2, 2013.